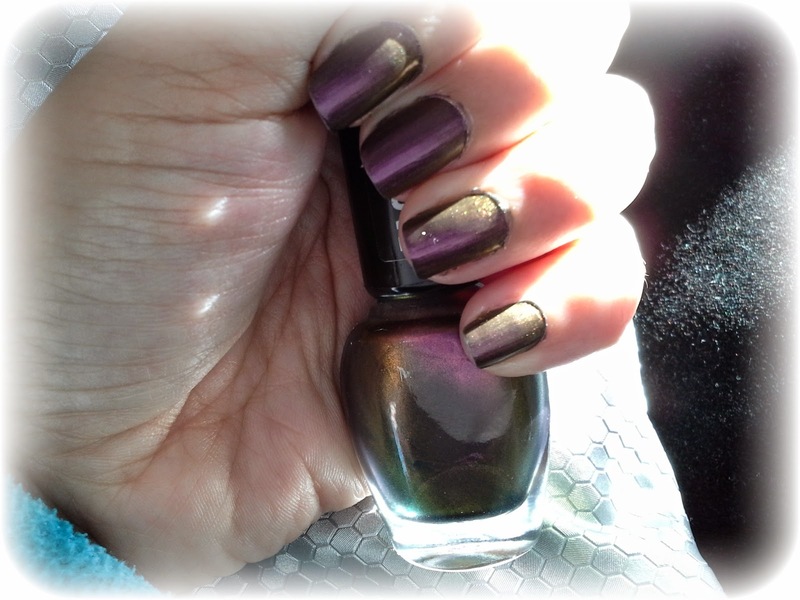 I've been testing out some nail polishes lately and here's my experience with the nail lacquer 262 Cooper King from the Changing Metal Effect collection by Astor Fashion Studio. Mavala nail hardener + 2 coats of nail polish. No top coat. This is a metal effect nail polish. The color is purple most of the time but, depending on the lighting, it can look old goldish-greenish. You need two coats for it to look opaque on the nails. It started chipping off on the fourth day on the tip of some nails and on the side of my left index finger. And that was all untill I removed it on the seventh day to test a new nail polish. If you want this polish to stay perfectly put on your nails for more than four days, you'll need to use a chip resistant top coat. I personaly love the metal effect on my nails and 1,99 € is a nice price. There are more colors to choose from ^_^.